The Sixers will be frustrated about not having had a home semi-final but there are good reasons to think they're worth backing as marginal outsiders here, says Jamie Pacheco. The good news is that the Renegades have a semi-final to play and are at home. It's worth remembering that they're the only side never to have made a Big Bash final so this is a bigger deal to them than arguably to any other side. Sam Harper (299 runs) and Tom Cooper (267) were their top runscorers in the Group Stages while Cameron Boyce (12) and Dan Christian (13) were their top wicket-takers behind…Kane Richardson. Not only is Richardson their top bowler so far with 24, he's the top wicket-taker in the whole tournament. The bad news is that they're without Mohammad Nabi. The Afghan all-rounder was a key part of the team's success but with international commitments (almost) always taking priority over domestic/franchise ones, they've lost him to a training camp ahead of their Series with Ireland. All the more annoying for the Renegades because it wasn't on the original itinerary and they thought they had him all the way to the day of the final. The Sixers will be extremely annoyed about finishing the Group Stages in third position because it means they're not at home. They could have avoided being on the road for their semi by either beating the Melbourne Stars or by losing narrowly. In the end they were handed a hiding, mustering just 74 while chasing 169. You have to be in it to win it and if you'd offered them third place at the start of the tournament, they would probably have taken it. That three players have taken at least 19 wickets so far tells you where their strength lies. Contributions from Big Bash stalwarts Sean Abbott (21) and Steve O'Keefe (19) shouldn't have come as too much of a surprise but Englishman Tom Curran really impressed with 20 wickets at a reasonable economy rate of 7.65. If he's not engaged in international commitments this time next year, it would be a huge surprise if they don't have him back. The availability of Aussie Test spinner Nathan Lyon is a huge boost. Moises Henriques has more than done his bit as skipper but will be a tad disappointed to have just two fifties to show from 12 knocks. The Renegades are 8/11 with the Sixers at 11/10. 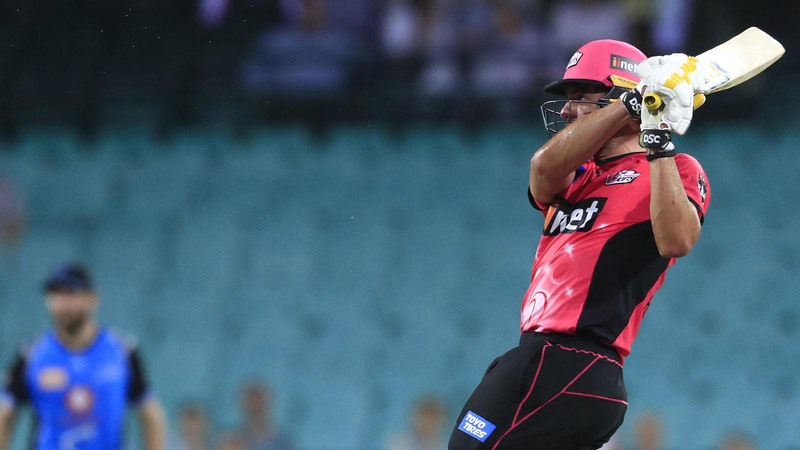 In the first match in the Group Stages, the Sixers won by 33 runs away while the Renegades cruised to a seven wicket win in Sydney, chasing 116 with a full seven overs to spare. Across previous editions of the Bash, the Sixers won three of the four encounters so the head-to-head currently stands at 4-2 to them. Not that it's a huge sample by which to judge things. But we can make a case for the visitors here. They ended on the same points as their hosts, they have the superior head-to-head record over the years, have a better history when it comes to winning BBL semis and whereas the Renegades are without Nabi, they'll have the somewhat unexpected fillip of being able to include Lyon in their side. That's enough reasons to go with them at 11/10. So good that he's got his own category. You can back top tournament wicket-taker Kane Richardson at 9/4 to be Renegades' top bowler and if you disagree with me and think that the Renegades will win, you can also back the fiery quick to be man-of-the-match at 12/1. Neither are prices to be sniffed at. The Sixers' batsmen have scored 11 fifties between them. Their four highest individual scores are 74 and 75 (both James Vince), Josh Philippe (86 not out) and 76 not out by Joe Denly, who is no longer there. Between the Renegades' batsmen, they scored just three fifties between them. Aaron Finch got a 54, Sam Harper a 56 not out and Cameron Boyce a very unexpected 51 not out. So it's pretty obvious that the Renegades share their runs around while the Sixers generally have (at least) one player getting a big score. Back the Sixers to be the Team of top batsman at 10/11.